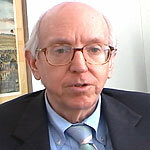 A Failure of Capitalism, The Crisis of ’08 and the Descent into Depression by Richard A. Posner. He believes that the Great Recession is actually a depression, but not as severe, so far, as the Great Depression. 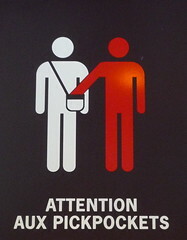 The Louvre in Paris, France is closed temporarily to protest the number of pickpockets operating within its storied halls. Will it become necessary to shut down the US economy to protest our free market capitalism which I label pickpocket capitalism? Only time will tell. Sweden has a form of free market capitalism which the Swedes call humane capitalism which the GOP here in the US call socialism. The Swedish version of capitalism is noted for its high taxes and generous safety net programs, but it is not socialism. Roughly 15% of Swedish industry is state-owned while 85%+ is in private hands. The Swedish system results in income leveling to a much greater extent than practiced here in the US, but the Swedish system also provides a number of benefits to the average worker. I will list some of them and let you decide which system is better, the Swedish humane capitalism or the US version I label pickpocket capitalism. Some of the benefits of the Swedish system I wish we had in the US. Free healthcare and free education through college. A minimum of five weeks vacation every year. One year’s paid time off for the birth of each child. Pre-school care that is affordable and widely available so that women can work outside the home if they choose, and most do. Affordable housing and unemployment benefits that are not a political football. A green energy and environment policy that is determined not to foul the land where we live. In Sweden, labor is 80% unionized while here in the US, management and the GOP are intent on destroying unions. In Sweden, labor and management work together to improve productivity and they share the fruits of that improvement. Here in the US, management has been retaining the fruits of improved productivity for the past 30+ years. Sweden continues to be a manufacturer, unlike the US, because they produce quality products that the world wants. The unemployment rate in Sweden is currently estimated at 8%. 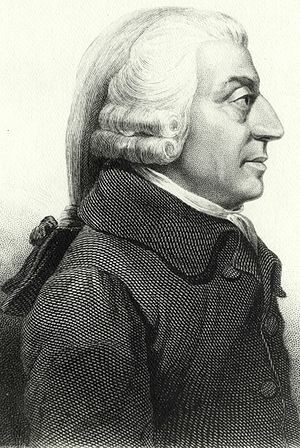 Free market capitalism, laissez-faire capitalism, Adam Smith’s invisible hand acting to create the greatest good for the most people does not currently exist. Without effective government regulation, competitors tend to merge to reduce competition, letting them raise prices, reduce supply and make more profit. For example, just look at the oil companies and gasoline prices at the pump. What we have now instead of free market capitalism is what I call pickpocket capitalism. Adam Smith’s invisible hand of the market is in all our pockets, stealing cash from incomes unnoticed, and almost invisibly. Sky high interest rates on credit cards and insurance policies that don’t cover the insured costs are two more examples of the invisible hand of the pickpockets of corporate America. Only effective regulation by the Federal government can protect us from them. The states are too small and diverse to do the job. The ultimate solution of course is to breakup the companies that are too big to fail until they are small enough to start competing with each other once again. Truthout.org has an interesting companion article.